Running and growing a small business is no easy task. Small retail businesses must differentiate from the big players by offering a great customer experience. You can’t focus on customers and growth when you’re spending countless hours on bookkeeping tasks each week. Neat can help you stay focused on your business by eliminating the most taxing bookkeeping functions and give you better visibility into your spend versus expense. 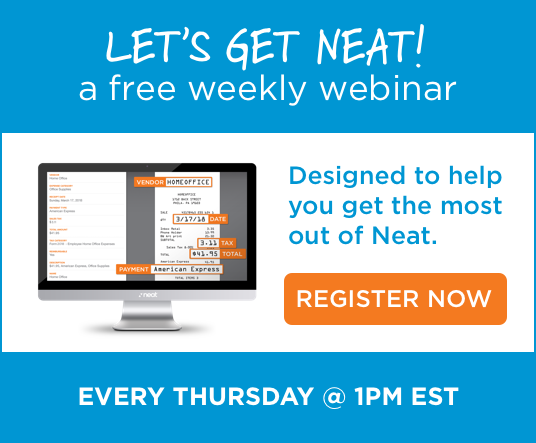 Neat provides valuable software for Retail Small Business owners that helps them grow. Thousands of small business retail owners trust Neat. Here's How.